As her main research theme during her fellowship, Dr Shirahara examined and firmly established the relationships between Japanese and Chinese artists during the medieval period, an area of study previously overlooked. In pursuing her research, she applied her background in Medieval Japanese art history and specialism in religious paintings. Her research on the artistic dialogue between Japan and Korea particularly within the artistic genres of tumulus murals, Buddhist murals and paintings, portraits and ink paintings has received much acclaim. Upon completion of her fellowship, she was appointed to the post of Asian Arts Curator at the Seattle Art Museum where during her tenure organized a series of exhibitions and events. 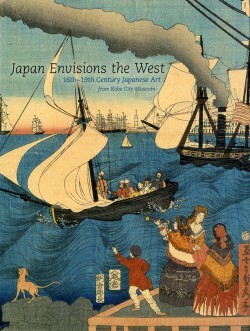 Her success as both scholar and curator has earned her an international reputation vouched by SAM Director Mimi Gates recommending her as ‘a scholar-curator who maintains high standard and totally dedicated to advancing knowledge about Japanese and Korean art.’ She is currently Chief Curator at the Nezu Institute of Fine Arts in Tokyo, Japan.